Here at Lockaway Storage, we know our success is due to our wonderful Team. The care they give our customers is unparalleled and we want to highlight their milestones along the way. 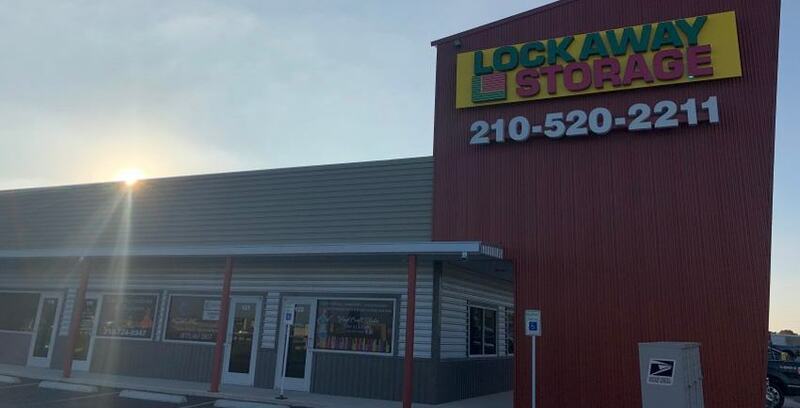 Below is an interview with Peter Hall, who is celebrating his 1-year anniversary with Lockaway Storage. You can meet Peter at Lockaway Storage at 6923 W. Loop 1604 N in San Antonio where he is an Assistant Manager. Jodie: Hey, Peter! What year anniversary is this, how long have you been with Lockaway Storage? Peter: With this company, it is my first year. Jodie: That’s wonderful! Tell me what industry you came from, have you always been in self storage or something else? Peter: I’ve been in property management on and off for the last 20 years. Jodie: Oh, wow! How is this experience different than others you’ve had? Peter: This company is more personable than most corporate companies, so it’s been a much better experience than I’ve had before. “Peter is so much fun to work with! I am lucky to work beside him, we are working hard together to fill up 1604!" Jodie: What would you say are some attributes about this company that make it stand out? Peter: It seems to be managed better in the long run, there is better opportunity for upward mobility, which is very uncommon in this industry. There’s a good open door policy with this company. Jodie: I’ve heard that a lot actually. Team Members tend to say a lot of really great things. I talk to a lot of different people who are having anniversaries or events and people are happy. Do you have any memories you can point back to from this year? Peter: My most significant memories attached to this company is when I met Marc Gaudet, who, well, he passed away back in May. He was a wonderful person. I wish I would have got to know him better. I only knew him for a few months. Jodie: That probably was your most memorable time with the company so far? Peter: Yeah, I mean, when it comes to the day-to-day stuff, I’ve been doing this for 20 years, so nothing really surprises me anymore. Jodie: Well, I’ve heard about many events that the company holds facility to facility and corporately. Have you been involved in any of those events? Peter: Most recently, we did a big grand opening event for a new store. Which went surprisingly well. Jodie: That makes sense. So tell me, what do you do in your personal time? Any hobbies? Peter: I catch up on my TV watching. Jodie: So are you a Netflix guy, a cable guy, or an Amazon Prime guy? Jodie: Have you watched that one? Jodie: Yes, it’s like you binge-watch those shows. “Peter has been a valuable asset to our Team. 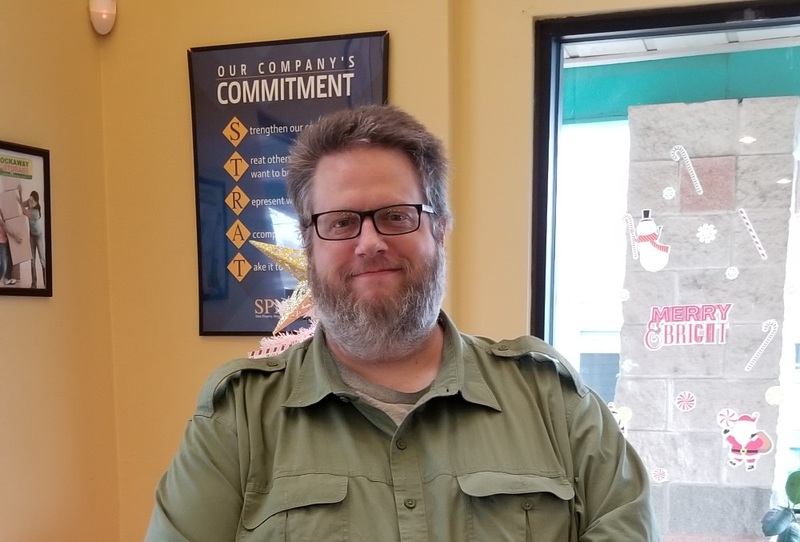 In addition to his work as an assistant at 1604 and FM 471 he is very knowledgeable in IT and has helped at several properties with a range of issues with electronics. His knowledge has helped the company save money and get the problem fixed. Peter is also flexible with his schedule and is willing to cover stores when needed and even come in on his days off, which has helped when finding coverage for stores. These things combined with his ability to work well with others have made Peter a great Team Member to work with and have as part of the Lockaway Storage family." Jodie: Have you lived in the San Antonio area very long? Did you grow up around here? Peter: I grew up around Dallas and came down here 20 years ago. Jodie: Oh, I see. What do you like or dislike about the region? Peter: Twenty years of the heat and I’m ready for the Northwest! Jodie: Well, you could always do self storage up North! It’s good to talk to you. I’m glad that you’ve had a good experience. Thanks for taking the time to talk to us. Have a good one!